The approximately 15 million Ismailis are a Shiite community and this faith community is recognized by the importance it gives to using the intellect in practicing the teachings of the Quran. As a result, the Ismailis view knowledge as a divine gift. Even the women have a distinct position here. Following His Highness Prince Karim Aga Khan’s Golden Jubilee, journalist and filmmaker Veronika Hofer followed His Highness across the world for 2 years covering a multitude of AKDN projects such as the Aga Khan Award for Architecture in Doha, Qatar (2010-11-24), the opening of the Heart and Cancer Centre of the Aga Khan University Hospital in Nairobi, Kenya (2011-07-25) and various other projects including the one in Kabul, Afghanistan and Al-Azhar Park in Cairo, Egypt. The documentary, “Karim Aga Khan and his life`s work” had it’s broadcast premiere on the occasion of His Highness’ 75th birthday on ARTE – the Franco-German TV station and its affiliated worldwide network in 2011. While the video documentary is no longer available on ARTE, a radio program of the documentary continues to be available. Hazrat Ali was the 1st Imam of the Shias 650 years after the death of Jesus Christ. February 19, 2016 – AKDN: Arriving in Sharm el-Sheikh on the eve of the conference, the Aga Khan was welcomed by the Governor of South Sinai, Major-General Khaled Fouda and Secretary General of the Egyptian Agency of Partnership for Development, Ambassador Dr Hazem Fahmy. He noted that forging such partnerships requires a commitment to pluralism as well as the strengthening of civil society, so that it can work together with the public and private sectors to advance sustainable social progress. Mawlana Hazar Imam was speaking at the Africa 2016 Forum taking place this weekend under the patronage of the President of Egypt, His Excellency Abdel-Fattah El-Sisi, alongside the African Union. The gathering brought together African heads of state and more than 800 high-level government and business leaders from across the continent to advance opportunities in regional investment and trade. Africa’s confidence today stands in contrast to the historic problem of social fragmentation, in which difference between ethnicity, tribe, nationality, or religion causes “a breakdown of cooperation, an undercurrent of fear, and even a paralysing polarisation in our public life,” observed Hazar Imam. But human diversity can also be seen as a blessing and an opportunity. Hazar Imam also cited the success of the Aga Khan Development Network, “now active in 13 African countries, in fields ranging from health and education, to travel and hospitality, from food and clothing companies to banking and finance, media and culture.” The vital role played by AKDN agencies in numerous public-private partnerships — including Bujagali Dam in Uganda, the National Park of Mali and AKDN’s educational initiative in East Africa — demonstrates the unique value that civil society can offer. “Civil society includes a host of professional, labour, ethnic and religious groups, and a broad array of non-governmental organisations,” explained Mawlana Hazar Imam. Sadly, misunderstanding, underfunding and outright repression often hamper the efforts of civil society. But the values that underpin it are also fundamental to African history. Indeed, the influence of civil society has made itself felt at key moments in recent African history. Hazar Imam cited examples, such as in shaping the Arusha Peace and Reconciliation Agreement for Burundi that ended 12 years of civil war, resolving the 2007 violence in Kenya, in the drafting of Tunisia’s new constitution, and in responding to the recent Ebola crisis. “It is part of the African way,” said Mawlana Hazar Imam. Nairobi, 16 March 2016 — Mawlana Hazar Imam arrived in Kenya yesterday evening for a visit during which he will inaugurate the Nation Media Group’s new state-of-the-art printing press. Upon his arrival, he was greeted by the Honourable Ndung’u Gethenji MP, Chairman of the Defence and Foreign Relations Committee on behalf of the Government of Kenya. Aga Khan Development Network Resident Representative Aziz Bhaloo and Ismaili Council for Kenya President Nawaaz Gulam and Vice-President Shamira Dostmohamed welcomed Mawlana Hazar Imam on behalf of AKDN institutions and the Jamat. His Highness the Aga Khan meets with President of Madagascar Hery Rajaonarimampianina in Paris, 13 October 2016. Antananarivo, Madagascar - On 13 October 2016, the President of the Republic of Madagascar, Hery Rajaonarimampianina, met with His Highness the Aga Khan to discuss development in Madagascar, where the Aga Khan Development Network operates a number of programmes. The Aga Khan Foundation (AKF) has been implementing a rural development programme in all seven districts of north-western Madagascar’s Sofia Region since 2005. To date, the programme has provided more than 46,000 smallholder farmers with technical support and training on improved rice farming. Farmers have been able, on average, to triple their yields. In turn, greater yields have led to more food-sufficient households and surpluses that have been sold in neighbouring towns. In support of these efforts, the Premiere Agence de Microfinance (PAMF) was established in 2006. PAMF works closely with AKF to provide financial services in Sofia, operating in both the rural areas and small cities. It has expanded to 13 branches, including outside Sofia. PAMF also works in the urban areas of the Analamanga region, and cities such as Majunga in Boeny, where it is focused on small traders and artisans as well as the rural sectors of these urbanized districts. In addition to loans to groups for rice and vegetable production, small equipment purchases and group savings accounts. PAMF also offers loans for warehousing and inventory credit in its own granaries, in borrowers’ own granaries or in village granaries. H.H. The Aga Khan has landed in Bishkek, accompanied by prince Aly Muhammad Aga Khan, his son, for the inauguration of the first of three residential campuses of the UCA (University of Central Asia) in Naryn, Kyrgyzstan on 19th October at 11am local time (GMT +6) . The opening will be live webcast. Bishkek, October 16 / Kabar /. Princess Zahra Aga Khan arrives in Bishkek later today for a two-day visit to the Kyrgyz Republic. This is her first visit to the Kyrgyz Republic. Princess Zahra is the eldest child and only daughter of His Highness the Aga Khan, the founder and chairman of the Aga Khan Development Network (AKDN). Anna Vorobeva, Communications Officer of the Aga Khan Development Network Representation reports. In Bishkek, Princess Zahra Aga Khan will meet leadership of the country to discuss current and future partnerships of the AKDN with the Kyrgyz Republic in education and health sectors. She will also visit public health and educational facilities for a better understanding of the country’s experience in social sector development sector. On 18 October, Princess Zahra Aga Khan will participate in an official 10th Anniversary of the Aga Khan School, Osh. Established by the Aga Khan Education Services in 2002, the Aga Khan School has become an important part of the Osh City fabric creatively responding to the educational needs of children and preparing them to become competitive in the modern world. In Osh, Princess Zahra will also visit an early childhood development center rehabilitated by the Aga Khan Foundation and its partners. She will also meet with the Governor of Osh Oblast and Mayor of Osh City. Princess Zahra Aga Khan heads the AKDN’s Social Welfare Department with specific responsibility for health, education and built environment issues in the developing world. These include Aga Khan Education Services, an AKDN agency, which operates more than250 schools and advanced educational programmes in South and Central Asia, Africa and the Middle East since the 1950s. Bishkek, 17 October 2016 — Mawlana Hazar Imam arrived in Kyrgyzstan this evening, ahead of the inauguration of the University of Central Asia’s Naryn campus. He was accompanied by Prince Aly Muhammad. Her Excellency Elvira Sarieva, Minister of Science and Education received Mawlana Hazar Imam on behalf of the Kyrgyz government. Aga Khan Development Network Resident Representative for Kyrgyzstan Shamsh Kassim-Lakha, who is also the Executive Chairman of the UCA Board Executive Committee, and Dr Mahmoud Eboo, Chairman of the Ismaili Leaders’ International Forum, welcomed Hazar Imam on behalf of the institutions and the Jamat. In a gesture of traditional hospitality, Hazar Imam was presented with an offering of non (bread) by two students from the Aga Khan School in Osh. As Chancellor of the University of Central Asia, Mawlana Hazar Imam will preside over the inauguration of the first of its three residential campuses in Naryn on Wednesday, 19 October. 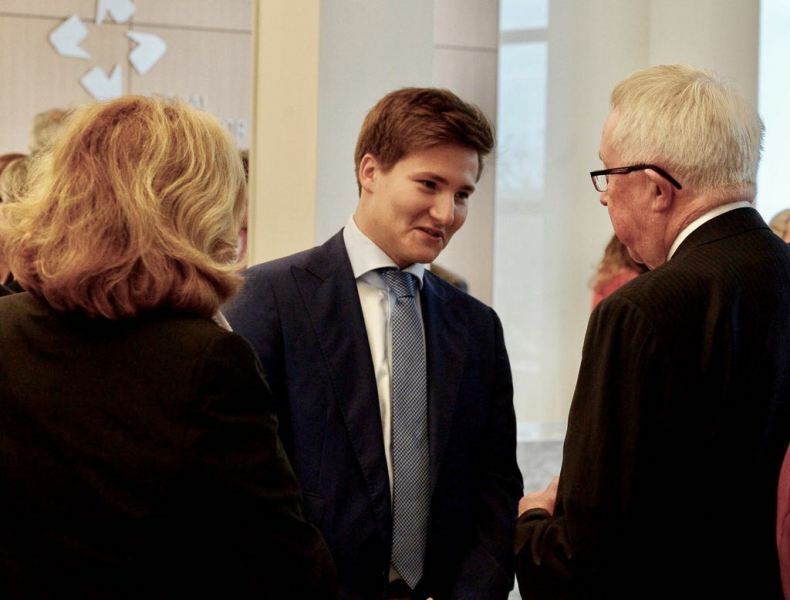 The ceremony is due to take place at 11:00 AM Kyrgyzstan Time (GMT+6) and will be webcast at TheIsmaili.org/live. Founded in 2000 by an international treaty between Mawlana Hazar Imam and the Presidents of Tajikistan, the Kyrgyz Republic, and Kazakhstan, the UCA is a secular and private university dedicated to the socio-economic development of Central Asia, and particularly its mountain societies. The Naryn campus welcomed its first class of 71 undergraduate students in September. They come from Tajikistan, the Kyrgyz Republic, Kazakhstan, Afghanistan and Pakistan. UCA residential campuses in Khorog, Tajikistan and Tekeli, Kazakhstan are anticipated to open in 2017 and 2019 respectively. 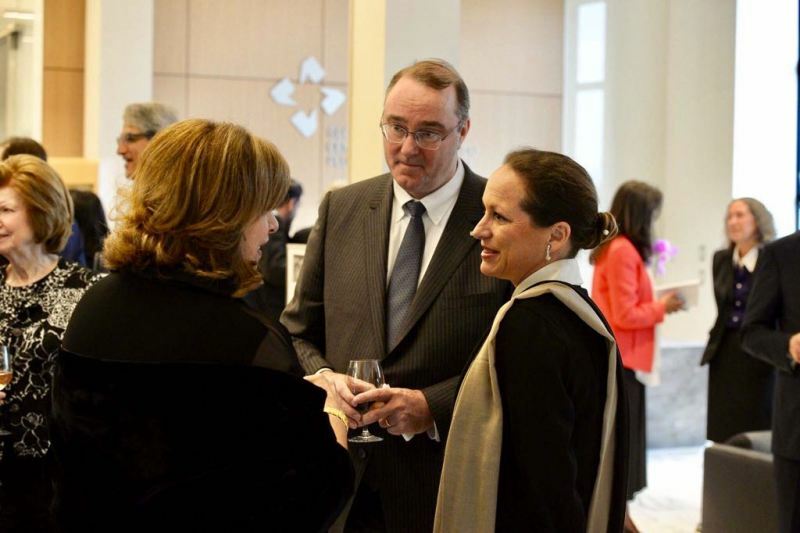 Finance met His Highness Prince Karim Aga Khan on the sidelines of the 75th Anniversary celebrations of the French agency for Development in Paris Wednesday. 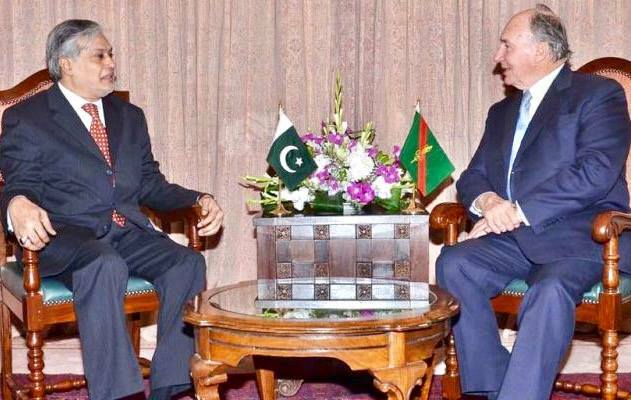 that the Minister expressed good wishes to Prince Karim Aga Khan and said that the government and people of Pakistan acknowledged the contributions of His Highness in the social development sector with particular reference to Pakistan. Minister for the well being and prosperity of the people of Pakistan. Looking back on 50 years of the Imamat of Mawlana Hazar Imam, His Highness Prince Karim Aga Khan, the 49th hereditary Imam of the Shia Ismaili Muslims. His Highness the Aga Khan III (1877-1957), who became the 48th Imam of Ismaili Muslims in 1885 at the age of 7, was in the 51st year of his reign when his first grandson, Prince Karim, was born on December 13, 1936 in Geneva. Destined to become the 49th Imam some 20 years later in 1957, Prince Karim spent his early childhood in Kenya with his younger brother Prince Amyn during the Second World War. The three heartwarming stories, below, were recorded in Gujarati in a diary kept by Kaderali B. Patel, who was responsible for imparting religious training to Prince Karim and Prince Amyn while they were in Kenya. The stories are adapted from Farida S. Kassam’s English translation that appeared in a special edition of “Africa Ismaili,” published in July 1982 to mark the Silver Jubilee of Mawlana Hazar Imam, His Highness Prince Karim Aga Khan. “When I speak of places that have played a major role in my life, no place comes to mind more quickly than Kenya. My ties here go back to my “toto” days – how can I ever forget our childhood house on Caledonian Road, now named the Denis Pritt road and the mega rhubarb I grew up the rain-water drain, or driving down the garden steps in the late Sir Eboo’s car? And how could I forget my brother’s despair when his pet bantam chickens were eaten one night by a visiting leopard? Little did I suspect that the next night my rabbits would suffer the same fate.” — Aga Khan, State banquet, Nairobi, August 13, 2007. Prince Amyn was standing nearby and I asked him which was his crop. He took my hand and led me to his section. “Here, these are carrots, beetroot, and a grain crop as well,” he said happily. The Princes looked after their plantation with keen interest. I have seen them doing different jobs regularly. “Work builds the body,” was Prince Karim’s motto, which I will never forgot. Prince Karim and Prince Amyn always did their lessons. Their governess, Miss Lyon, paid great attention to their education. She taught them English, maths, writing and art with great care. The Princes loved to colour pictures of animals and birds. They collected large and small pictures and carefully stuck them into an album. When Prince Aly Khan and Princess Tajudaulah visited them in Nairobi, both the Princes would show them their albums. Every morning the Princes came to their study-room to learn Namaz. The moment they entered the study room they greeted me with ‘As-salam-alaikum’ [Peace be unto you] and, standing up, with arms folded, l returned their greeting with ‘Wa-alaikum-salaam [And unto you, peace]. The programme of religious instruction lasted an hour daily. The Princes enjoyed and listened attentively to the short stories of the Holy Prophets and Ismaili Pirs. Prince Karim and Prince Amyn would never show any reluctance in saying their Namaz. Whatever lesson was taught to them, they made a great effort to remember it and next day repeated it, trying to excel each other. They did not like to make mistakes. They were only satisfied when they were sure they had learnt the subject thoroughly and could answer questions without hesitation. They never became irritated. As soon as the hour for lessons was over, Prince Karim and Prince Amyn would take me to their garden and tell me all about their cultivation. “We have planted many different flowers along the paths. When all the flowers bloom, the paths will change their colour and we shall be very pleased,” they said. As we were talking, we were joined by Miss Lyon. The Princes told her about their various plants and showed them to her. As it was hot, Miss Lyon told the Princes to go and put on their hats. They ran into the bungalow, put on their hats and rode off on their bicycles to play tennis. Prince Karim Aga Khan reciting Idd Namaz on the occasion of Idd ul FitrPrince Karim Aga Khan leading the Idd ul Ftir prayers in Nairobi in 1944. Photo: 25 Years in Pictures. Islamic Publications, London, UK, Volume 1. Prince Karim first recited the Idd Namaz in public in his childhood, at the age of seven, at Nairobi Chief Jamatkhana. It had been announced in the Jamatkhana the previous day that Prince Karim would lead the Idd Namaz at 10 a.m. All Ismailis were delighted when they heard the announcement. Next day was Idd-ul Fitr. Early in the morning all Ismailis arrived dressed up in their best clothes. The officers all wore golden red gowns. This was a very unique occasion and everyone’s heart was filled with inner happiness. At 10 a.m, Prince Karim arrived at the Main Jamatkhana on Government Road with his brother Prince Amyn. 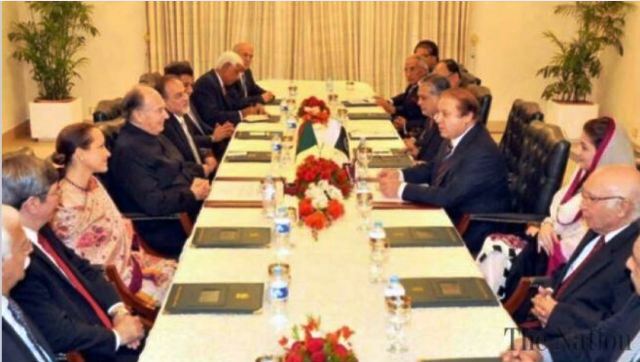 The Jamat’s chief officers welcomed the Princes. Prince Karim took his place in front of the Jamat and recited the Namaz. 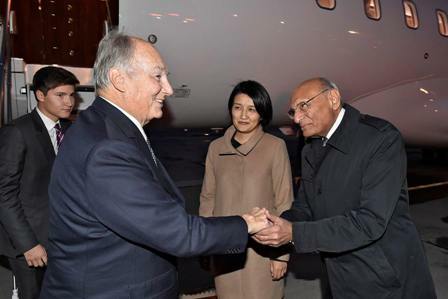 Then Prince Karim and Prince Amyn stood in line with the officers and for hours shook hands with Ismaili brethren and wished them ‘Idd Mubarak’. They gladdened the hearts of thousands of people who will never forget the ‘Idd Mubarak’ uttered by Prince Karim. A portrait of Prince Karim Aga Khan in a volunteer uniform when he was nine years old. Photo: Diamond Jubilee Souvenir, 1946, published by the Ismailia Association of Africa. The magazine was acquired from Sadruddin Khimani Family Collection, Vancouver, Canada. It seemed that flowers poured out of the Princes’ mouths when they said these words. Prince Karim and Prince Amyn were extremely happy on that auspicious day. 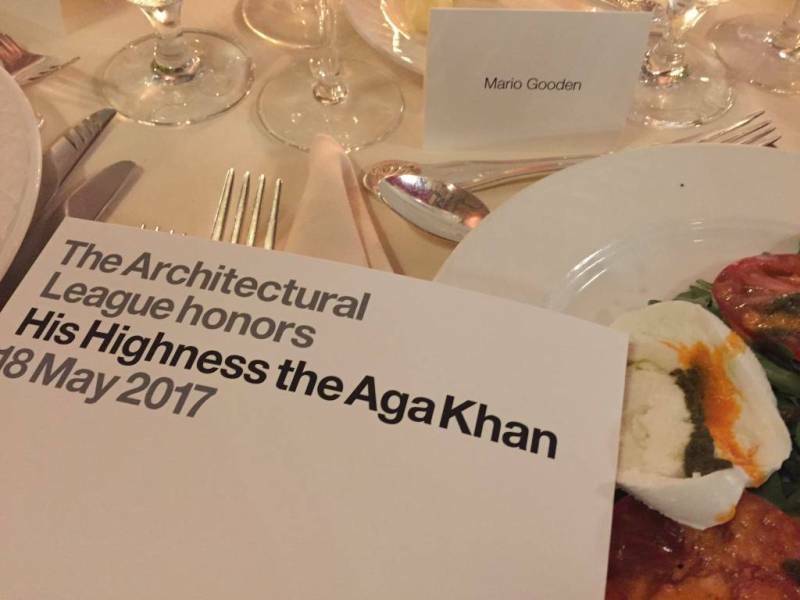 #AgaKhan Imam of #Ismaili expected on 18 May 2017 President’s Medal presentation at the Dinner of The #Architectural League of New York. His Highness the Aga Khan established the Aga Khan Award for Architecture in 1977 to identify architectural projects that successfully address the needs and aspirations of communities in which Muslims have a significant presence. Winners of the most recent 13th triennial Award Cycle were announced in 2016 and include a community center in rural Bangladesh that interprets local building traditions and materials to respond to an environmentally sensitive site; a public space in Copenhagen promoting integration across lines of ethnicity, religion, and culture; and a bridge in Tehran that connects two parks separated by a highway and has itself become a much treasured urban space. The Aga Khan Award for Architecture evaluates works of architecture, landscape design, and urbanism using a comprehensive set of criteria that recognizes design’s potential to foster a sense of belonging within culturally pluralistic communities worldwide while simultaneously elevating quality of life and addressing issues of environmental sustainability. The award’s comprehensive and considered deliberation process makes it one of the most respected and coveted awards in architecture. This event is currently sold out and at capacity. No tickets are being sold or distributed. Please contact the League’s Development Director, Nicholas Anderson, at anderson@archleague.org for any other information. Recent recipients of The Architectural League’s President’s Medal include Michael R. Bloomberg, Henry N. Cobb, Richard Serra, Renzo Piano, Amanda M. Burden, Massimo and Lella Vignelli, Hugh Hardy, Richard Meier, Ada Louise Huxtable, Robert A.M. Stern, Kenneth Frampton, Tod Williams and Billie Tsien, and Robert Venturi and Denise Scott Brown. The Architectural League of New York has announced the recipient of its 2017 President’s Medal: His Highness the Aga Khan, the 49th hereditary Imam (Spiritual Leader) of the Shia Imami Ismaili Muslims, on the occasion of the 40th anniversary of the Aga Khan Award in Architecture – an annual award established to celebrate building concepts that have successfully addressed the needs of Muslim communities from around the world. The Architectural League’s highest honor, the President’s Medal is awarded annually to recognize individuals for an extraordinary body of work in architecture, urbanism, art, or design. The medal will be presented by League President Billie Tsien at a May 18 dinner in New York. 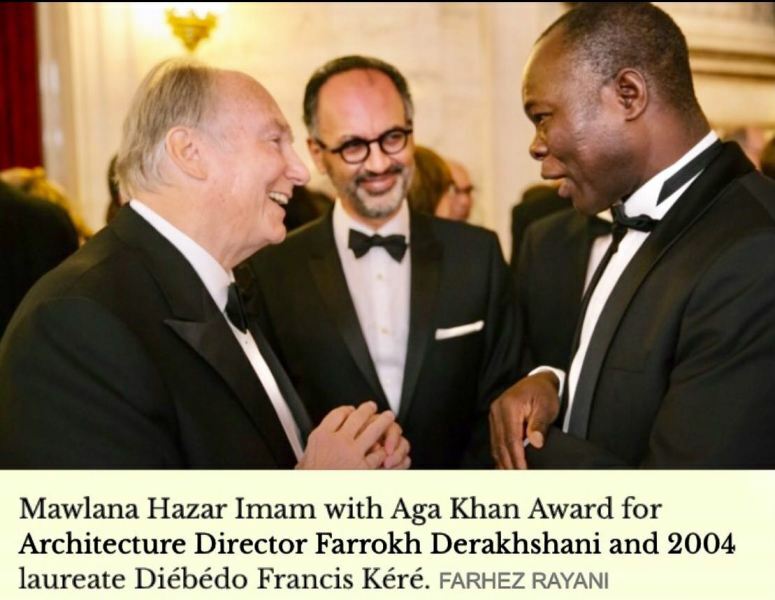 At the ceremony on May 18th, humanities scholar Homi K. Bhabha, city planner Amanda M. Burden, architects Die&#769;be&#769;do Francis Ke&#769;re&#769; and Billie Tsien, and League executive director Rosalie Genevro will remark on the achievements of the Aga Khan, while presenting him with the award. Past recipients of The Architectural League’s President’s Medal have included Michael Bloomberg, Henry N. Cobb, Richard Serra, Renzo Piano, Amanda Burden, Massimo and Lella Vignelli, Hugh Hardy, Richard Meier, Ada Louise Huxtable, Robert A.M. Stern, Kenneth Frampton, Tod Williams and Billie Tsien, and Robert Venturi and Denise Scott Brown. News via The Architectural League. Prince Aly Muhammad (Left) accompanying his father, H.H. 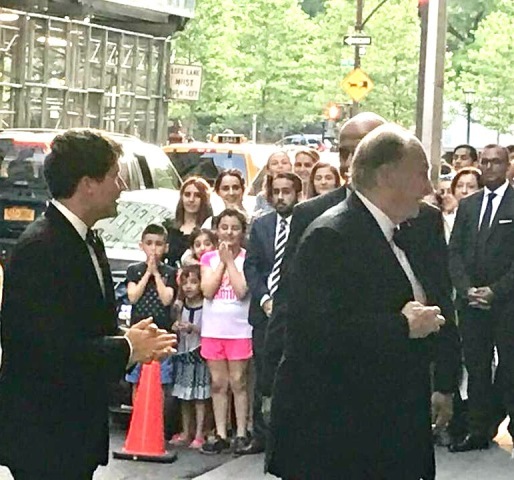 The Aga Khan in New York on 18 May 2017. More photos from 2017, May 18 event in New York at the Architectural League where Mowlana Hazar Imam, H.H. The aga Khan received the President's Medal for his exceptional contribution to the field. > The Jamati Institutions of the United States of America and Mukhi Kamadia Saheban, extend their warmest mubarakbaads to the Jamat on the occasion of Mawlana Hazar Imam’s visit to the United States to receive the Architectural League of New York’s President’s Medal, yesterday, Thursday, May 18, 2017. > This prestigious medal is the Architectural League’s highest honor and is bestowed in recognition of an extraordinary body of work completed by the Imamat in the areas of architecture, urbanism, art, and design. > The Medal was presented to Hazar Imam on the occasion of the fortieth anniversary of the Aga Khan Award for Architecture and celebrates AKAA’s achievements in highlighting architecture that is imbued with the ethics of pluralism, tolerance, openness, understanding of diverse cultures, social structures, values, and faiths. > A video of Hazar Imam’s visit and award ceremony will be shown in all Jamatkhanas tonight, Friday, May 19, 2017 (duration of the video 15 mins). > Cake and sherbet will also be served. New York, 19 May 2017 — Yesterday evening, the Architectural League of New York accorded Mawlana Hazar Imam its highest and most important honour. The President’s Medal, which is awarded annually, was presented to Hazar Imam in recognition of the vast impact he has made on the world through the medium of architecture. In particular, the occasion highlighted the values of the Aga Khan Award for Architecture, which Mawlana Hazar Imam established 40 years ago. The Architectural League of New York was established in 1881 to provide a space for architects to grow creatively and intellectually. Over the past 136 years the League has been at the forefront of the most critical debates in architecture, design and urbanism. Members of the League have played an important role in shaping and influencing the built environment in the United States. She said that the Award exposed her “to possibilities that had not occurred to [her], and how to change the definition of success.” Burden plans to apply these lessons in the city planning and urban development work she does with mayors around the world as Principal at Bloomberg Associates. Princess Zahara, Prince Hussain and Prince Aly Muhammad accompanied Hazar Imam at the award banquet. The black tie gathering of the country’s leading architectural minds was a celebration of the achievements of the Aga Khan Award for Architecture. Since 1977, the Award has reviewed and documented nearly 9,000 projects. Of those, 116 have been named winners. They hail from all corners of the world — Malaysia to Denmark, Dhaka to New York — each connecting in some way with Muslim communities in their vicinity. The Architectural League has a long history of encouraging and honoring excellence in architecture, urbanism, art, and design. Recent recipients of the President’s Medal include Michael R. Bloomberg, Henry N. Cobb, Richard Serra, Renzo Piano, and Amanda Burden. 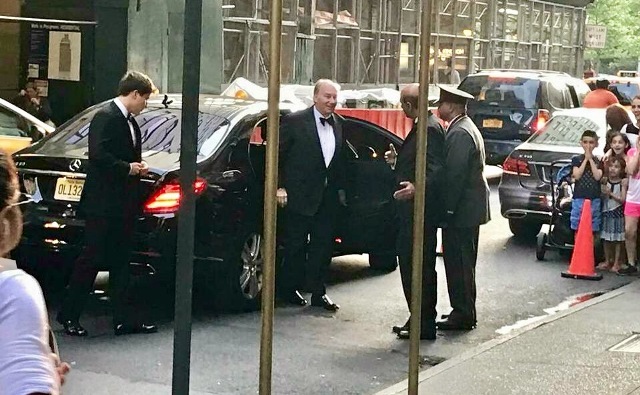 NEW YORK CITY (KTRK) -- The Architectural League of New York awarded its highest honor to His Highness the Aga Khan during a dinner at the Metropolitan Club. The President's Medal of the Architectural League is awarded annually to individuals for their exemplary work in architecture, urbanism, art and design. The 2017 President's Medal honors the 40th anniversary of the Aga Khan Award for Architecture - given every three years to inspirational designs that address the needs of Muslim communities worldwide. 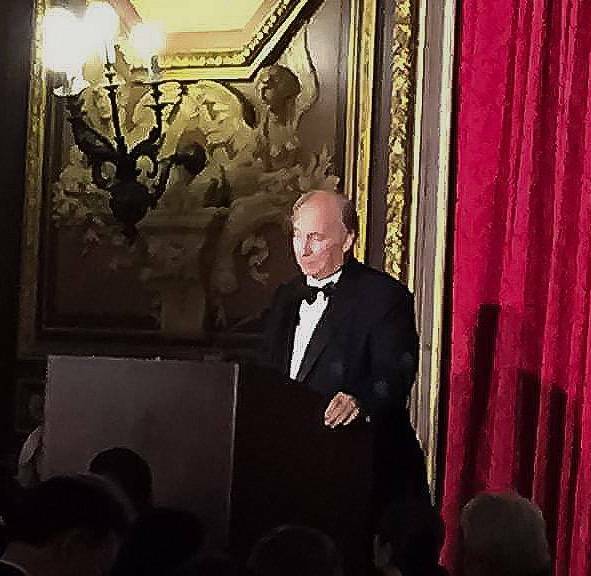 The Architectural League of New York awarded its highest honor to His Highness the Aga Khan during a dinner at the Metropolitan Club. His Highness Prince Karim Aga Khan is the 49th hereditary Imam (spiritual leader) of the Shia Ismaili Muslims. He is also the founder and chairman of the Aga Khan Development Network, a group of private agencies working to empower disadvantaged communities and individuals in order to improve living conditions and opportunities, especially in parts of Asia, the Middle East and Africa. The medal's past recipients include former New York mayor Michael R. Bloomberg, Robert Venturi and Denise Scott Brown, Tod Williams and Billie Tsien, Ada Louise Huxtable, Richard Meier, among others. His Highness spoke about what motivates him to promote visionary architecture that serves the community. "In thinking about the way societies live in the developing world, in the industrialized world, I came to a very simple conclusion: what is the art form that has the most important impact on every society, in every part of the world? And the answer is quite simply, architecture," he said. His Highness aims to promote sustainability, quality of life, local craftsmanship and building traditions through his work. "In the troubled times in which we live, it is important to remember, and honor, a vision of a pluralistic society," he said. "Tolerance, openness and understanding towards other peoples' cultures, social structures, values and faiths are now essential to the very survival of an interdependent world. Pluralism is no longer simply an asset or a prerequisite for progress and development, it is vital to our existence." 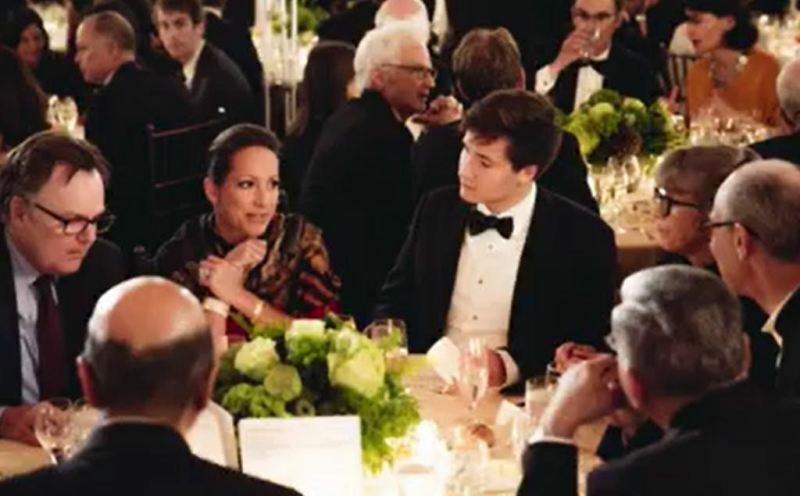 The 330 guests at the dinner included family of His Highness the Aga Khan: Princess Zahra Aga Khan, Prince Hussain Aga Khan and Prince Aly Muhammad Aga Khan. Hazar Imam received on May 18, 2017 the Presiden't Medal ceremony at the Architectural League in New York. It is so nice to see the support H.H. The Aga Khan gets from his family. Prince Hussain, Princess Zahra, Prince Aly Muhammad, all looked dashing smart for the ceremony honoring their father. The two photos are of the GCP Ottawa. 1996, June 5: News From Brown (University) -introduction of His Highness the Aga Khan by Vartan Gregorian, 16th President of Brown. At the Class of 1996 baccalaureate service, Brown President Vartan Gregorian introduced His Highness Prince Karim Aga Khan IV, leader of the Ismaili Muslims, who delivered the baccalaureate address. The University's 232nd baccalaureate service was held at 1:30 p.m. Sunday, May 26, in the Meeting House of the First Baptist in America, near the Brown University campus in Providence. At the Class of 1996 baccalaureate service, Brown President Vartan Gregorian introduced His Highness Prince Karim Aga Khan IV, leader of the Ismaili Muslims, who delivered the baccalaureate address. The University's 232nd baccalaureate service was held at 1:30 p.m. Sunday, May 26, in the Meeting House of the First Baptist in America, near the Brown University campus in Providence, R.I. The text of the President Gregorian's introduction follows. In the name of Brown University and the 231 previous baccalaureate speakers, I greet you. It is my great honor to introduce Brown's 232nd baccalaureate speaker. His Highness Prince Karim Aga Khan IV is the first Muslim baccalaureate speaker in Brown's history and I dare say in the history of the Ivy League. He embodies the ecumenical spirit that links the three great monotheistic religions: Judaism, Christianity and Islam. The Aga Khan, a direct descendant of the Prophet Muhammed, became 49th Imam -- spiritual leader -- of the Shia Ismaili Muslims in 1957 at the age of 20. This followed the death of his grandfather, Sir Sultan Mahomed Shah Aga Khan, who wanted to be succeeded by "a young man who has been brought up in the midst of the new age." His grandfather, twice president of the League of Nations, and his father saw his gifts and his potential, just as your grandparents and parents saw yours, as they encouraged you to reach for the stars at this University. Thus, the new Aga Khan shouldered great responsibilities even before he received his undergraduate degree. His challenge was awesome. After all, he was succeeding his grandfather, a world leader. For nearly four decades as Imam, the Aga Khan has amply fulfilled his father's trust and his grandfather's expectations. In spite of his youth, he established himself firmly not only as spiritual leader, but also as an enlightened guardian of the far-flung Ismaili community's welfare and progress. But he has done much more than that. He has become a major activist for civilized humanity and universal values. Not in words but in deeds. Not in one location but around the world. For he believes in the long tradition of Ismaili community values -- that education, self-reliance, solidarity and character are the elements which keep a community vibrant and healthy and lead to enlightenment and dignity. It was inevitable, then, that the advent of his strong leadership should bring about flourishing systems for welfare, learning, housing and culture. Under his patronage, dramatic action has been taken in the restoration of some of the great monuments of Islamic civilization. The Aga Khan, during the past four decades, has traveled widely, read avidly and consulted frequently in his determination to combine theory with the essential experience required for making responsible philanthropic investments in his community as well as worldwide. His firsthand knowledge of competing economic development theories and processes and his own site inspections of social projects -- whether in the Pamir Mountains, Tanzania or Bangladesh -- are singularly important. Equally vital are his faith in education and his ability to tap the resources of European, Asian and American institutions of higher learning to enhance the well-being of humankind. "Education," he has said, "has been important to my family for a long time. My forefathers founded Al Azhar University in Cairo some 1,000 years ago, at the time of the Fatimid Caliphate in Egypt. Discovery of knowledge was seen by those founders as an embodiment of religious faith, and faith as reinforced by knowledge of workings of the Creator's physical world. The form of universities has changed over those 1,000 years, but that reciprocity between faith and knowledge remains a source of strength." 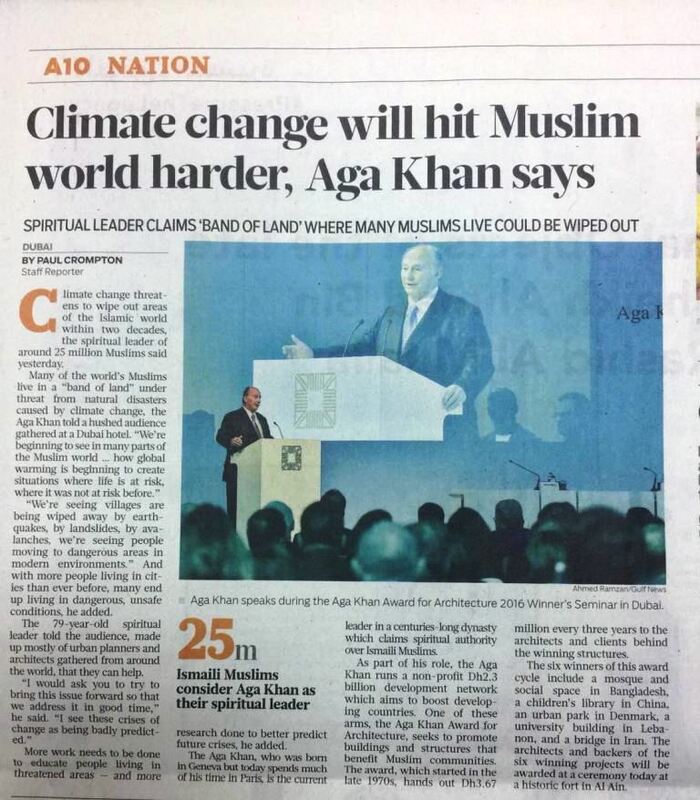 To see how well these enlightened actions succeeded, you need only visit the Aga Khan University and the Aga Khan Hospital in Karachi where people of different faiths, races and classes receive the same high quality education and care -- for that university and that hospital are the best in the region. You may then multiply what you see many times over, because there is a vast number of projects in every realm of human improvement that are done under the aegis of the Aga Khan Development Network. He has affected the lives of millions. Indeed, only ten days ago, while I was in Chicago, a driver from Pakistan, noting my accent, inquired about my place of birth. When I said I was born in Iran, he asked if I was familiar with the Aga Khan. I said I was slightly familiar with the Aga Khan. He said, "Everything I have I owe to him -- my spiritual welfare, my business." "And do you know," he continued, "He is coming to the United States. I wish there were an opportunity for me to thank my Imam!" He then turned down the visor and showed me the Aga Khan's picture. Your Highness, I told him that when I see you, I will thank you on behalf of Faleh Ali Judhani and all the Faleh Ali Judhanis of the world. They are a legion and they are of all faiths. As an educator, I thank you on behalf of universities where no Islamic Civilization was taught and where, thanks to your munificence such teaching now exists. One more private, personal thank you -- for entrusting the education of Prince Rahim to Brown University. We are grateful for your trust, we salute Prince Rahim, your beloved daughter Princess Zahra and your son Prince Hussain. Ladies and gentlemen, members of the Class of 1996, I present to you this inspiring leader, great humanitarian, statesman and man of learning and culture, His Highness Prince Karim Aga Khan IV. His Highness the Aga Khan, leader of the Ismaili Muslims, delivered the baccalaureate address to the Class of 1996 at 1:30 p.m. Sunday, May 26, in the Meeting House of the First Baptist in America, near the Brown University campus in Providence, R.I. The text of the Aga Khan's address follows. President Gregorian, thank you for your very generous words. It is a great honour for me to be at this Commencement Ceremony as Brown represents much of what is best in Western liberal education. Let me also congratulate the graduating students for whom the memory of this day, I am sure, will remain with them throughout their lives. One of the things most often said to university students on their graduation day is that they must now prepare to face the "real world." You should be glad to hear that I am not going to tell you that, but as someone who has been living and working in the real world for a very long time, I can tell you this: the world is now a different place. It is different from what it was forty years ago, five years ago, different even from last month's world. It is different because we are witnessing a massive acceleration in the rate of global change. Today's world is a living environment in which you will have to adapt much faster than your parents did, in order to have a positive and constructive impact on the future. Having said this, the means at your disposal to achieve such an impact have multiplied exponentially during the last decade. Never before has there been so much knowledge available about so many different people; never before have we known more about the physical world in which we live; never before, therefore, have the opportunities been greater to make a better life for more people around the globe. For the last fifty years, our planet has been frozen by a paralysing bi-polar political vortex which we call the Cold War. During those years, many allowed their views to stagnate and harden into notions so dependable that they became unrevisable dogmas : My capitalism versus your communism, your Eastern bloc versus our Western bloc, and left versus right. But like the Berlin Wall, our old bi-polar system was dismantled almost overnight, and with it the black and white world to which we had grown accustomed. Unfortunately, views and thought habits, although intangible, are less easily broken than bricks and politics. Learned human behaviour dies hard. The world has become a hurtling place in which change occurs constantly, and in which we need to learn, again, to evolve. Free now from an artificial tug-o-war in which most were only expected to identify with the rope, we are facing a world of doubt and questioning, and universal uncertainty, the new hallmark of our time. Growing from our thawing earth today, is the unsure and uncomfortable process of discovering and learning about mobility and change. In all societies, disconcerting but pertinent questions are being asked: Who will lead in the process of change? What beliefs should guide us? Will they be scientific statements and data, or philosophical visions? What constraints or opportunities will shape our future? What are the priorities that we must address first, and why should they be priorities? That these questions are answered correctly should be a source of concern to us all. Because if the responses do not come principally from those of us fortunate enough to have been educated, fortunate enough to have food and medicine and shelter, who can make progress in providing these things to the less fortunate, the responses will come from the contestations of the excluded. In short, the responses should come from you. In this new and challenging environment, the people and nations which were paralysed by someone else's struggle for supremacy are free now to hope. Despite global acceleration, America still benefits from the intellectual liberty and hope for the future on which this nation was founded. But these elements, too easily taken for granted by those who are used to them, are of primordial concern in many other societies. In Algeria, Bosnia, Rwanda, Tajikistan, people are fighting and dying because their lives can finally be changed. Those nations which used to be part of the Third World, have become an obscure "south" and "east" that, in emerging from obscurity, are increasingly present. Indeed, the world you are about to enter is a fluid one in which you will have to be flexible. President Gregorian tells me that I am the first Muslim ever to give the Baccalaureate address at a Brown Commencement in the school's illustrious 232-year history. This makes the occasion a very special honour for me. It also carries the considerable, even intimidating responsibility to speak about the place of Islam and of Muslims in the world today, about their hopes and aspirations, and about the challenges that they face. It is also my responsibility, and indeed a pleasure for me, to speak about what might be done, and some things that are being done, to respond to these challenges. My position, since 1957 as Imam of the Shia Ismaili Muslims bears no political mandate, it is an independent one from which I can speak to you openly. Today in the occident, the Muslim world is deeply misunderstood by most. The West knows little about its diversity, about the religion or the principles which unite it, about its brilliant past or its recent trajectory through history. The Muslim world is noted in the West, North America and Europe, more for the violence of certain minorities than for the peacefulness of its faith and the vast majority of its people. The words "Muslim" and "Islam" have themselves come to conjure the image of anger and lawlessness in the collective consciousness of most western cultures. And the Muslim world has, consequently, become something that the West may not want to think about, does not understand, and will associate with only when it is inevitable. Not only is this image wrong, but there are powerful reasons that we cannot overlook, for which the West and the Muslim world must seek a better mutual understanding. The first of those reasons is that with the Eastern bloc weakened militarily, financially and politically, the Muslim world is one of only two potential geopolitical forces vis-a-vis the West on the world stage; the other being the East Asian Tigers. There are large Muslim minorities living in, and impacting, many European countries. The Muslim world controls most of the remaining fossil fuel reserves. There is a resurgence of Islam in countries of strategic importance to the West, such as Turkey. Several Muslim states have nuclear ambitions. The Gulf war proved that events in the Muslim world do have a direct impact on global economics and security. The West should ignore neither the evolution of the Muslim Central Asian Republics nor their interplay on the future of Russia. Much of sub-Saharan Africa, is Muslim, and none of us can turn our backs on this continent in need. The second reason why the Islamic world and the West should seek increased mutual understanding is that in the wake of the Cold War, it has become obvious that violence and cruelty of all ilk are a plague gaining ground around the globe. It can be military, or para-military and brutal, or it can be structural and inconspicuous, and no less brutal. It ranges from suicide bombings to ethnic cleansing to the forgetting and abandoning of large segments of society, even by industrialised nations such as this one. Against this worrying global background it must be made utterly clear that in so far as Islam is concerned, this violence is not a function of the faith itself, as much of the media would have you believe. That is a misperception which has become rampant, but which should not be endowed with any validity, nor should it be accepted and given credibility. It is wrong and damaging. The myth that Islam is responsible for all the wrong doing of certain Muslims may well stem from the truism that for all Muslims, the concepts of Din and Dunya, Faith and World, are inextricably linked. More so than in any other monotheistic religion of the world. The corollary is that in a perfect world, all political and social action on the part of Muslims would always be pursued within the ethical framework of the faith. But this is not yet a perfect world. The West, nonetheless, must no longer confuse the link in Islam, between spiritual and temporal, with that between state and church. With the deaths of King Charles the First, and Louis the Sixteenth, Western culture initiated a process of secularisation which grew into present day democratic institutions, and lay cultures. Islam, on the other hand never endorsed any political dogma. So the historical process of secularisation which occurred in the West, never took place in Muslim societies. What we are witnessing today, in certain Islamic countries, is exactly the opposite evolution, the theocratisation of the political process. There is no unanimity in the Islamic world on the desirability of this trend but it would certainly be less threatening if the humanistic ethics of the faith were the driving force behind the processes of change. The news-capturing power of this trend contributes to the Western tendency to perceive all Muslims or their societies as a homogeneous mass of people living in some undefined theocratic space, a single "other" evolving elsewhere. And yet with a Muslim majority in some 44 countries and nearly a quarter of the globe's population, it should be evident that our world cannot be made up of identical people, sharing identical goals, motivations, or interpretations of the faith. It is a world in itself, vast and varied in its aspirations, and its concerns. Is there not something intellectually uncouth about those who choose to perceive 1 billion people of any faith as a standardised mass? It is possible that the near-total burden of underdevelopment from which only a few Muslim countries have yet been able to extricate themselves, unites us in the eyes of the West and thus sets us apart from it. No world faith, perhaps, has such a high concentration of people living in poverty and fear, from disease to political disenchantment, to the defenselessness of national integrity, from the loss of cultural identity to confusion in the face of the new forces of pluralism, free market economics and meritocracy. No reasonable or equitable mind, could question either the logic or the justification for our fear of occidentalisation, or the loss of our Muslim identity. No one could question our fear of the disassociation of our belief and practice from our secular lives, of our difficulties in producing and managing wealth, of our need to create a system of laws compatible with the ethics of our faith, but no less compatible with today's world and the needs of tomorrow. The Muslim World, once a remarkable bastion of scientific and humanist knowledge, a rich and self-confident cradle of culture and art, has never forgotten its past. The abyss between this memory and the towering problems of tomorrow would cause disorientation even to the most secure societies. You may ask, and justly so, what has happened to that world, and why has it reached such an advanced stage of fragility? Many contemporary problems of the Islamic world are the result of punctual political conflicts, prompted by the end of colonialism or the Cold War. Are the roots of the conflict in Kashmir not anchored in the partition of India in 1947? Are not the civil wars in Afghanistan and Tajikistan due more to the political convulsions of the dying Cold War than to religious conflict between Muslims themselves? Is the conflict in Algeria caused by differences in interpretation of the faith among Algerians, or by an attempt at political change which, put to the test, has failed? These conflicts are some of the less fortunate legacies of Islamic states having been used, like others, as pawns or proxies in the Cold War. Yet many other problems facing the Muslim world now, have existed for centuries. From the seventh century to the thirteenth century, the Muslim civilizations dominated world culture, accepting, adopting, using and preserving all preceding study of mathematics, philosophy, medicine and astronomy, among other areas of learning. The Islamic field of thought and knowledge included and added to much of the information on which all civilisations are founded. And yet this fact is seldom acknowledged today, be it in the West or in the Muslim world, and this amnesia has left a six hundred year gap in the history of human thought. It was during the 15th century that Muslim civilisation began a period of decline, losing ground to European economic, intellectual and cultural hegemony. Islamic culture began to be marginalised, and worse yet, its horizons narrowed until it lost its self-respect, and pursued no further the cultural and intellectual search on which it was embarked. Even as Muslim learning was studied in the greatest universities in Europe, La Sorbonne, Oxford, Bologna, it was being forgotten in all Muslim societies from the fourteenth century on. Little of what was discovered and written by Muslim thinkers during the classical period is taught in any educational institution, and when it is, due credit is not given. This gap in global knowledge of the history of thought, and the faith, of a billion people is illustrated in innumerable ways, including in such diverse worlds as that of communication and of architecture. Our cultural absence in the general knowledge of the Western world partially explains why your media sees Islamic thought as an ideological or political determinant in predominantly Muslim cultures, and refers to mere individuals affiliated with terrorist organisations as Muslim first, and only then by their national origin or ideological or political goals. This is a considerable problem for the Islamic world in its relations with the West, particularly because of the impact your public opinion has on the decisions of your democratic governments. But rather than to dwell upon this sensitive issue, I would like to illustrate how, in another professional field - architecture - an analogous breach is being filled through an unprecedented joint effort by the Islam world and the West. Since 1957, the Aga Khan Development Network has been involved in building a large number of schools, hospitals, housing estates and other constructions in the Muslim world. It became clear that whilst the use of the buildings was usually adequately defined they had less and less to do with the architectural traditions of the societies that they were to serve. I found that others too were facing the same questions. Together, we enlarged our questioning, and it became starkly apparent that across the whole of the Muslim world, practically without exception, its great traditions of architecture had disappeared from its cultural expression. Once the issue had been identified, some of the greatest architects in the world, from some of the finest schools, and men and women from all disciplines and all religious backgrounds - Muslim, Jewish, Christian, Hindu, Buddhist - joined me, creating an Architectural Award and educational programmes to help address the crisis in our own built environment. The aim was to widen for people of all backgrounds, the sources of knowledge and inspiration for the design languages of Islamic societies. After two decades the best buildings and spaces of the Islamic world, evaluated by international juries of the highest calibre, are exceptional once again. Designed and used by Muslims and non-Muslims alike, they now address some of the most intractable problems of our age: urbanisation, management of the built environment and shelter for the very poor. This exemplifies the kind of remarkable outcome that educated men and women, from around the world, can achieve, in as little as twenty years, to begin reversing the hundreds of years of decay which have eroded our cultural identity. Much of the West's knowledge, and intellectual potential, is concentrated in Universities such as Brown, that have, in recent years, worked their way much deeper into their wider societies. They have developed global objectives addressing global issues, thus becoming more accessible as partners in the development efforts of the Third World. The Aga Khan University was founded thirteen years ago in Pakistan with planning assistance from Harvard. It was the first private self-governing university in that country of 125 million people. Medical Science was the initial field of engagement. As Pakistan had one of the lowest ratios in the world of nurses to doctors, and the nursing profession was mired in mediocrity, social unacceptability and low pay, nursing became our priority. With the assistance of McMaster University in Ontario, a curriculum was designed and a School of Nursing launched. In addition to becoming a leading academic institution, it has transformed the role of women in society by providing them with new educational and professional opportunities. This solution to some of Pakistan's most pressing health care problems, which has also enhanced the social self-worth and professional status of women in the country, may soon be replicated in other areas. Under the university's international charter, the nursing school now envisages the creation of an Institute of Advanced Nursing Studies in East Africa to extend the same professional and societal opportunities to the women of Kenya, Tanzania, Uganda, and further afield. First-world knowledge can be introduced and creatively absorbed into third-world environments to assist in resolving some of its most challenging development problems. Success will depend, at least partially, on the adaptability of the knowledge to be shared, and the willingness and receptivity of the social structures that will be affected. The knowledge exists and its adaptability is proven, the material resources can be found, but the social and cultural empathy which prepare any successful long-term process of human change from one society to another, are still deeply lacking. The same consideration also applies to ideas. Concepts such as meritocracy, free-world economics, or multi-party democracy, honed and tested in the West may generally have proven their worth. But valid though they may be, responsible leadership in the Islamic world must ask if they can be adapted to their cultures which may not have the traditions or infra-structure to assimilate them: There is a real risk that political pluralism could harden latent ethnic or religious divisions into existing or new political structures. There is a real risk that marketplace economics could lead to ruthless competition, and increased concentration of wealth, further marginalising the existing poor. There is a real risk that meritocracy could exacerbate, for example, the existing problem of equitable access to quality education and sophisticated health care. Although the modern page of human history was written in the West, you should not expect or desire for that page to be photocopied by the Muslim world. You, the graduates, are entering your own society at a time when it is questioning many of its own determinants, and seeking stability, direction and inspiration from its own ethical and cultural roots. In the Muslim world we are doing the same. No doubt you are seeking to prepare yourselves, as well as you can, for the risks and opportunities of the suddenly globalised environment in which you will live and work. In the Muslim world we arc doing the same. As globalisation unfolds, the Islamic world will be there in myriad ways. Multitudinous encounters are inevitable. It is time for all of us to ask: how can we ensure that these innumerable contacts will result in a more peaceful world, and a better life? We should be seeking out and welcoming these encounters, and not fearing them. We should be energising them with knowledge, wisdom and shared hope. But this will be enormously difficult to achieve until the civilisations and faith of the Islamic world are part of the mainstream of world culture and knowledge, and fully understood by its dominant force which is yours in the West. In this exhilarating new world of unprecedented knowledge, freedom to use it outside worn out dogmas, and immediate global communication, it should be a matter of serious concern to the West and the Islamic world, that such a deep gulf of misinformation and misunderstanding subsists. That gulf conditions the way we perceive each other. Its omnipresence damages our capacity to build a better world for ourselves. And it has no basis in logic. The great Muslim philosopher al-Kindi wrote eleven hundred years ago, "No one is diminished by the truth, rather does the truth ennoble all." That is no less true today. It is only here in the West that governments, intelligentsia, media, entrepreneurs are all -- in some way -- linked to your universities. They impact, or actually create, much of our world's general and specialised knowledge. They challenge what may be wrong and validate what is correct. They research what they do not know. Is it not time for you to use these tools to build a bridge across the gulf of knowledge which separates the Islamic world from the West? Do you question that we will be by your side? No, if I can judge from my own experience. We have much to build with. A common Abrahamic monotheistic tradition. Common ethical principles, founded on shared human values. Common problems of yesterday, resolved together. Common challenges of tomorrow, that we can best face together. These, and all that much more that I cannot enumerate, but are fact, are the materials with which to build a bridge. Enlightened by sound intellect, I see its structure strongly built from the realities of our world. But any structure requires bonding, and of all the bonds that can link societies, America epitomises the strongest. It is called hope. The right to hope is the most powerful human motivation I know. Its importance has been paramount in the history of this nation. It is a reasonable expectation that the next generation will be better equipped to address the challenges of life than the present one. How beautiful that bridge of hope would be between the West and the Islamic world. 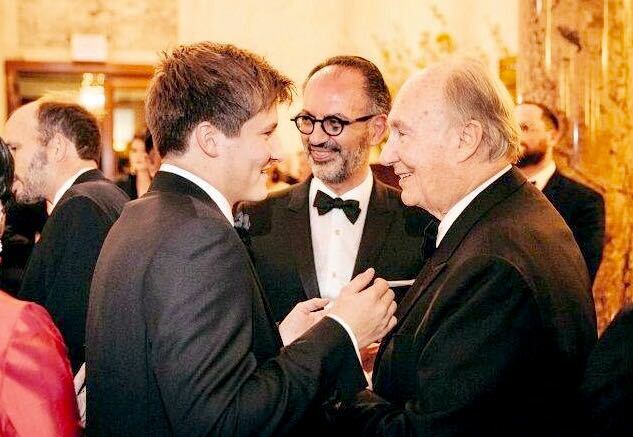 The Architectural League of New York awarded its President’s Medal to His Highness the Aga Khan on the occasion of the 40th anniversary of the Aga Khan Award for Architecture, on May 18, at the Metropolitan Club. The President’s Medal is The Architectural League’s highest honor and is bestowed, at the discretion of the League’s President and Board of Directors, on individuals to recognize an extraordinary body of work in architecture, urbanism, art, or design, according to a press release. 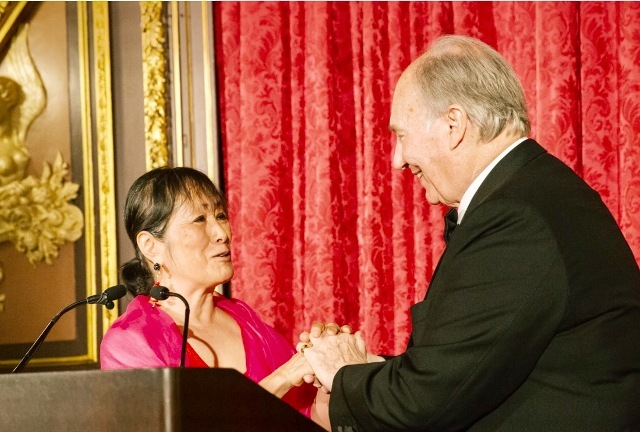 The Medal was presented to Aga Khan at a dinner at the Metropolitan Club by League President Billie Tsien. Humanities scholar Homi K. Bhabha, city planner Amanda M. Burden, and architect Diébédo Francis Kéré celebrated the recipient with remarks. In accepting the medal, Aga Khan remarked, “in thinking about the way societies live in the developing world, in the industrialized world, I came to a very simple conclusion: what is the art form that has the most important impact on every society, in every part of the world? And the answer is quite simply, architecture. It’s a very important evening in my life because it’s a recognition of an art form that which I believe needs global recognition, needs global attention, needs the best brains that we can mobilize, to improve the human habitat for decades and decades ahead. Thank you for this wonderful award,” he concluded. The dinner’s 330 guests included family of Aga Khan: Princess Zahra Aga Khan, Prince Hussain Aga Khan, and Prince Aly Muhammad Aga Khan. Guests included Henry N. Cobb, Peter Eisenman, Robert A.M. Stern, Rafael Viñoly, Amale Andraos, Annabelle Selldorf, Craig Dykers, Mohsen Mostafavi, and Tod Williams. Other attendees included sociologist Richard Sennett, photographer Iwan Baan, and critic and historian Kenneth Frampton. Renata Holod, Hasan-Uddin Khan, and Farrokh Derakhshani, the previous and current directors of the Aga Khan Award for Architecture also attended. Recent recipients of The Architectural League’s President’s Medal include Michael R. Bloomberg, Henry N. Cobb, Richard Serra, Renzo Piano, Amanda Burden, Massimo and Lella Vignelli, Hugh Hardy, Richard Meier, Ada Louise Huxtable, Robert A.M. Stern, Kenneth Frampton, Tod Williams and Billie Tsien, and Robert Venturi and Denise Scott Brown. Aga Khan, the 49th hereditary Imam (Spiritual Leader) of the Shia Imami Ismaili Muslims, became Imam in 1957 at the age of 20. The Aga Khan provides spiritual guidance to a community of 15 million living in some 25 countries, mainly in South and Central Asia, Africa and the Middle East, as well as in North America. On 19 May 2017, the Architectural League of New York awarded Mawlana Hazar Imam the President’s Medal, its highest and most important honour. The occasion highlighted the values of the Aga Khan Award for Architecture, established 40 years ago. Sardinia’s Costa Smeralda was a sign of things to come for the spiritual leader of Ismaili Muslims. 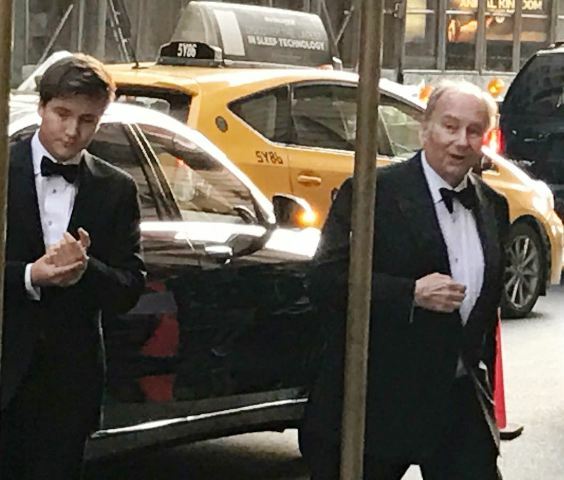 His Highness succeeded his grandfather as Aga Khan (a combination of Turkish and Persian titles meaning “commanding chief”) 60 years ago, when he was a 20-year-old undergraduate studying Islamic history at Harvard University. In 1958, around the time the Aga Khan graduated from Harvard, the English banker John Duncan Miller visited Sardinia in his role as vice president of the World Bank to check on the progress of a mosquito-eradication program. It was designed to prevent an outbreak of malaria, a constant concern on the island. 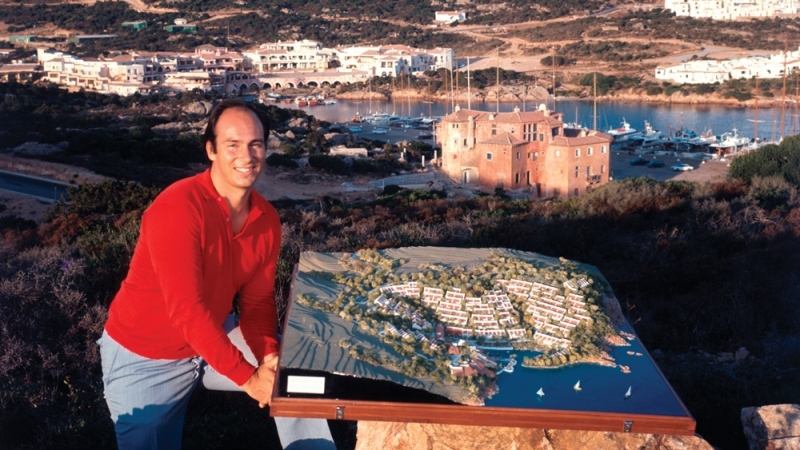 While sailing around Sardinia, Miller became so enchanted with the natural beauty of a stretch of the coast that he assembled a group of investors and purchased the land. The Aga Khan was among those investors, but he didn’t see the region until after the acquisition. The story goes that when he did visit, in the winter of 1958, he took a ferry that docked on the other side of Sardinia. Following a 4-hour trek along mule trails, he reached his new property and found no paved roads, electricity, or running water, prompting him to dismiss his investment as folly. The following summer, however, he returned and viewed the region from aboard his yacht and envisioned what would become of Porto Cervo and Costa Smeralda. Devotees of the Aga Khan bristle when Western media describe his life as lavish and extravagant. In a 1979 interview, he himself countered such a characterization: “I have stayed away from things which did not seem to me to be good sense, where it was affluence for the sake of affluence.” Nevertheless, with a personal wealth that has been estimated at $800 million, he possesses or has possessed the trappings of a lavish life. 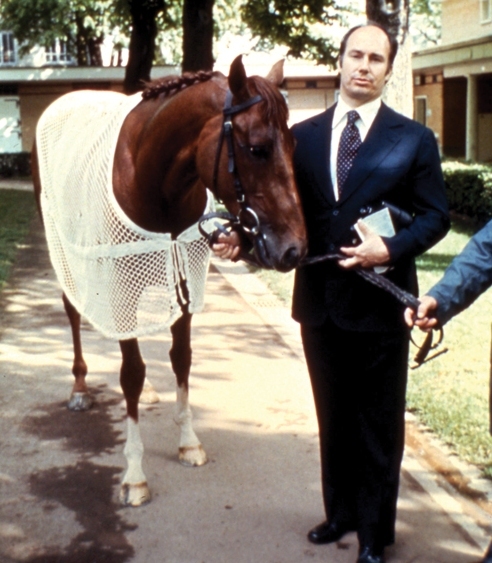 The Aga Khan inherited the Thoroughbred stables and stud farms that his grandfather established. With multiple facilities in Ireland and France, it is one of the world’s largest and most successful horse racing and breeding operations. In 2014 he took delivery of Alamshar, a 164-foot yacht named after one of his prized Thoroughbreds. When it was commissioned a decade or more earlier, it was going to be the world’s fastest superyacht. It didn’t achieve that status, but it does reach a reported 45 knots. He owns Bell Island, which lies within the Exuma Cays Land and Sea Park in the Bahamas. The island’s main house is a cream-colored modern structure with a terrace overlooking the water. In his younger years, the Aga Khan had a fondness for Maseratis. In 1962, Maserati built him a bespoke 5000 GT coupe that was the precursor to the first-generation Quattroporte. It included a 45 rpm record player built into the dashboard. In 1974 he took delivery of a custom Quattroporte with an extra-high roof. He owns at least two jets and one helicopter, but he has noted that because of the amount of travel he must do for his businesses and philanthropic endeavors, a private jet is a necessity, not a luxury. The love and the sense of urgency to the environment around us is what shared the one who organized and participated in the first edition of the One Ocean Forum. As a president of the Yacht Club Costa Smeralda, an organization that has its own existence at sea, I can only express my pride in this initiative, focused on the conservation of the marine environment. Recent events oblige us to reflect on how environmental pollution and the resulting climate change are heavily affecting the ecosystem of our lives. I am referring to the latest fiery hurricanes, including Irma, who also hit our winter office at Virgin Gorda and had a devastating impact on the Caribbean populations. Because of the warming of the oceans, situations like this will be on the agenda if we do not introduce virtuous and incisive behaviors. From today. It is therefore our duty to strive to reduce the high level of environmental pollution, trying to restore the balance between man and nature. At the end of the two days of One Ocean we presented the Charta Emerald, an ethical and behavioral code: my hope is that this document can be shared by as many people, institutions and associations as possible. And that the example of the Costa Smeralda Yacht Club can be a source of inspiration and awareness for other realities. At the end of the two days of One Ocean we presented the Charta Emerald, an ethical and behavioral code: my hope is that this document can be shared by as many people, institutions and associations as possible. And that the example of the Costa Smeralda Yacht Club can be a source of inspiration and awareness for other realities. At the end of the two days of One Ocean we presented the Charta Emerald, an ethical and behavioral code: my hope is that this document can be shared by as many people, institutions and associations as possible. And that the example of the Costa Smeralda Yacht Club can be a source of inspiration and awareness for other realities. This year, we celebrate the fiftieth anniversary of the club's foundation date. Already in that distant 1967, the first thought was aimed at the environmental impact that would have the development projects underway. Even before finalizing the master plan for the construction of the Costa Smeralda, environmental studies were carried out throughout the marine area, rainfall and wind, and it was learned that the bay of Porto Cervo was subject to a natural purification process. Our attention to environmental protection allowed us to build an ad hoc plan for the territory to preserve it over time. Today, however, the only natural process is not enough to safeguard the sea: it is necessary to act urgently and introduce a real code of behavior. Social consciousness, ours in the first place, needs to be urged on these unimaginable themes, so that everyone can understand the importance that even small gestures take. The environmental theme therefore becomes today, together with the sea, sailing and sport, one of the cardinal values &#8203;&#8203;of the Yacht Club Costa Smeralda, which will work in the long run to take action internationally for the protection of our sea. One of the most exclusive yacht clubs in the world has drawn up an environmental charter to ask 150,000 sailors across the globe to reduce plastic pollution in the ocean. The Costa Smerelda yacht club in Sardinia, established by the Aga Khan 50 years ago, is publishing the charter to cut plastic waste at the One Ocean Forum conference. International sailing organisations have signed up to support the document which will be disseminated to 150,000 sailors who compete across the world. Riccardo Bonadeo, commodore of the club, said there was a need to raise awareness among sailors, people who live on and use the coast, and the wider public, about the need to reduce plastic waste and adopt more environmentally friendly marine practices. The charter aims to gather a commitment from yacht clubs, their members, marinas and other ocean users to adopt a set of principles and actions to reduce marine waste. This year, we celebrate the fiftieth anniversary of the club’s foundation date. Already in that distant 1967, the first thought was aimed at the environmental impact that would have had the development projects underway. Even before finalizing the master plan for the construction of the Costa Smeralda, environmental studies were carried out throughout the marine area, rainfall and wind, and it was learned that the bay of Porto Cervo was subject to a natural purification process. Our attention to environmental protection allowed us to build an ad hoc plan for the territory to preserve it over time. Today, however, the only natural process is not enough to safeguard the sea: it is necessary to act urgently and introduce a real code of behavior. Zahra Aga Khan: "With One Ocean we are committed to a healthier sea"
04/10/2017 - For VIDEO click on link - The interview of Princess Zahra Aga Khan is in Italian.